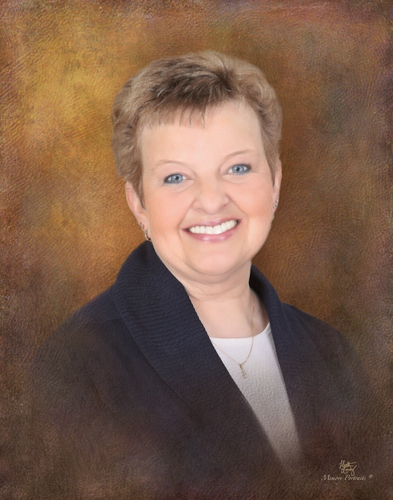 Karen Sue Gress, 55, of Princeton, passed away Monday, April 8, 2019 at Williamson Medical Center in Franklin, Tennessee. She was born July 12, 1963 daughter of Orval G. Klein and Emma Janice (McCoy) Klein in Vincennes. She graduated from Palestine High School in 1981 and attended Wabash Valley College, graduating with a degree in Agricultural Business in 1983. Karen lived in Ellery, Illinois and worked for Wabash Valley Co-Op until moving to Princeton where she worked for Miles Farm Center, now known as Nutrient Agricultural Solutions for 25 years. On August 2, 2003, she married Dave W. Gress of Princeton. Together they started Gress Farms, where they raised registered and commercial cattle along with three sons. Karen was known for her devotion to her family and her generous heart. Karen is survived by her husband of 16 years, Dave W. Gress; children, Jason Gress, John Clark, and Justin Clark; siblings, Sarah Shepherd of Palestine, Illinois and William Klein of Palestine, Illinois; a core of life-long special friends; and her beloved little dog, Frankie. She was preceded in death by both sets of grandparents; mother and father; and a brother, Kevin Klein. A funeral service will be held on Saturday, April 13, 2019 at 10:00 AM at Colvin Funeral Home in Princeton with interment to follow at Columbia White Church Cemetery in Princeton. Visitation will be held on Friday, April 12, 2019 from 4 until 8:00 PM at the funeral home.